I am a traditionalist! I like tradition, whether it be a small family tradition of no consequence, or a large tradition that is practiced by an entire nation or the world, I like it. And I don’t like it when people mess with tradition. I realize that modifying a tradition is simply change. I get it. I don’t mind change when change is useful and necessary. In fact, I have always considered myself quite capable when it comes to change management. I frequently welcome change, but not when it destroys a tradition that in turn destroys part of who or what we are. When that happens I feel compelled to speak out, so here I am, speaking out. 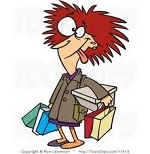 For years I have heard people talk of Black Friday and all the good deals they were hoping to obtain by getting up very early on the day after thanksgiving to go shopping. Over time, the store openings became earlier and earlier but were still happening on Friday so Thanksgiving Day remained intact. Thanksgiving Day is one of those traditional days that I was referring to earlier. Thanksgiving means a lot to me. I have always considered this to be one of the most sacred (in a secular sense) of the family holidays. I know this to be true because Thanksgiving was one of the most difficult of holidays for me while in the service and away from home. Going to the chow hall and having a turkey dinner served on a metal tray was not how I wanted to spend thanksgiving. Simply put, it is not really about the turkey and fixings. What makes Thanksgiving special is family, something I quickly realized when I spent my first Thanksgiving away from home. Now that is in serious jeopardy. Thanksgiving, as we have known it may be gone forever. I did not really understand exactly what the term “Black Friday” meant. For years I assumed it meant it put most bread winners in a black mood after seeing the impact on their checking account after all those “good deals” were discovered and acquired. It wasn’t until recently that I found out that this Means the day of the year when many retailers finally find their bottom line is in the black and their businesses are profitable. Eventually the store opening times were pushed back into the night. I think it was at this point it began to interfere with the holiday as families who had traditionally (there is that word again) spent the evening sitting around and enjoying each others company were now scrambling to catch a nap and get prepared for a very early morning excursion. Then the unthinkable happened. First one, and then more and more, retail establishments announced shopping hours would be available on Thanksgiving Day. Suddenly the concept of Thanksgiving Day has become secondary to the concept of Black Thursday! Maybe if the idea of Red Thursday would become prevalent people would look at the day differently. By Red Thursday I mean the day family finances go into the red as we swell our credit card balances and deplete our savings accounts purchasing all those good deals. Here is the part I just don’t understand. Maybe some greedy retailer can explain it to me. Why must the bottom line go from red to black one day earlier than it used to? Does moving the day back one day make that much impact on the bottom line? It makes sense to me that consumers are only willing or able to spend so much. So whether they spend it on Thursday or on Friday, the same degree of profitability will be met, or so it seems to me. But I am not a retailer. I do not understand the ins and outs of running a business. I am a traditionalist. Speaking in simple terms so the greedy retailers can understand, LEAVE THANKSGIVING BE! DON’T MESS WITH TRADITION! Is that plain enough? I agree, but as long as people go for it, the stores will continue to cater to them. its up to the people to regulate and correct anything where laws or capitalism are concerned. If the people stand up and say “no more” and dont attend at the earlier times, the stores will retract their change. The bottom line is not everyone agrees with you, and as long as there are enough people who disagree with you that can make some corporation some money, things will not only NOT change but probably get worse. I am 100% in agreement with you! Thanksgiving is my favourite holiday! More about family and less about money! I loved Pappas spending Thanksgiving Day with us and Dad’s stuffing, the nuts and the Macy’s Day parade. I wouldn’t exchange that for the best bargain in the world!